I’ve given a lot of thought to how we assess our students in history recently. By getting rid of the National Curriculum levels the door has been opened to a host of opportunities, releasing the shackles of restrictive level descriptors. I’ve thought long and hard about whether the assessments I give my students actually work and importantly whether they are actually assessing their progression as historians. The short answer is possibly not. In my department we have a series of very good Assessments (and I am purposely using a capital A). They brilliantly assess whether students are progressing in terms of the second order concepts (causality, interpretations, significance, etc.) as laid down in the old National Curriculum levels. But they are snap shots and as such fail to really assess (now with a lower case a) how they are progressing as historians as a whole. For example, this term my Year 8s have learnt about changes in power over the 17th century by studying James I, Charles I, the Civil War, Cromwell, the Restoration and ended up at the Glorious Revolution. The Assessment on this unit gets the students to write to Professor Hutton at Bristol University (we genuinely send the best off) to challenge his interpretation of Cromwell. It’s a winner of an Assessment and they produce great outcomes as a result. But it only assesses them at one tiny part of being a historian and only on one tiny part of their learning. This does not mean that I want to get rid of this Assessment or even tweak it. It is a perfect vehicle to allow them to challenge themselves in terms of interpretation and get their heads stuck in to a piece of history that is manageable, achievable and allows them to succeed. However, restricting the Assessment to this one topic means I have never really assessed how they have progressed as historians on the whole this term – what extra stuff they know, what their understanding of the bigger picture is and how their knowledge of substantive concepts have progressed over all the topics we have studies. Obviously, I know this to some extent as I constantly assess my students by questioning them, doing discussion work and marking individual pieces of work in their books. But if I am honest I have come to the realisation that I am not sure that I ever really do this formally enough to allow me to push them as far as possible as historians or to see if I am actually teaching them everything I had hoped. How often have you assessed if your students can do all this? I haven’t done it as much as I’d like to. As I said above, I’ve done it on a micro level in a lesson but I have never really properly done it on a macro level to assess learning over a longer period of time. So what I am proposing? Current Assessments at our school work. Whether we like it or not, they periodically provide the numbers that school want and that SLT pour over. They also very competently provide excellent snap shots at how students cope with extended learning tasks that prepare them for and give an indicator of performance in examinations. Plus, in a world where children are obsessed with grades they give them this piecemeal. I won’t change this. I can’t, and our SLT, like many others nationwide, won’t yet allow it. However, I am not so interested in Assessments, I am really interested in assessments. To summarise the important difference. Assessments – big one off snap shot pieces that produce a number/level/grade. assessments – small tasks that allow you as a teacher to evaluate students on all the other bits and bobs that make a decent historian. So the question is how do we do the second bit? And importantly how do we integrate it so that our lessons aren’t made dull and our students don’t feel even more tested than they already are? I’m not sure I completely know the answer yet but that’s why I am interested. It’s also why this will form the focus of my practice this year, along with a number of other Bristol history teachers who have formed an assessment working party. I want to know that my students have the ‘big picture’, how all the little events and individuals add up to explain a larger narrative. This is the case in KS3, KS4 and KS5. This term I tried out giving students a timeline test in Year 11. I gave them a blank timeline from 1919 to 1933 and asked them to annotate it to explain how Hitler came to power. I told them I didn’t just want a list of events, but for them to explain, in order how you get from 1919 to 1933. It took ten minutes and even less time to mark but allowed me to really evaluate the extent to which they understood this fundamental narrative. As a result I would definitely do it again both in KS3 and KS5. Following my concerns above about Year 8 I decided I would give them a ‘Big Picture’ question. So unaided I gave them the question “How has the nature of power changed in these 100 years [the 17th century]?” I told them to think about monarchy and parliament and left them to it. A few did get it and produced answers that showed they had a developed understanding of the big picture I had intended on them getting from this term. However, the majority (no photos sorry!) had very little clue. They had great knowledge of the discrete units I had taught them e.g. Cromwell and the Civil War, but lacked an understanding of how these events tied together. I was surprised at this. In class they had shown an understanding in discussion, or so I thought, but maybe I was relying on those few who like the examples above did get it. Either way this has highlighted that I have some work to do. This unit needs to be heavily tweaked to ensure there is a narrative thread running throughout these discrete units so that I can produce better historians at the other end. A very worthy exercise. I have picked a few of the best above but it was a genuinely worthwhile activity. It allowed me to easily assess whether they had ‘got it’ this term and importantly for them allowed them the space to reflect on their learning and actually consider why they thought they had progressed. Again it took a few minutes but was hugely worthwhile. This theme will be returned to each term in this blog so do check back in again to see where I have got to. Also if you have any better ideas or would like to comment on this please do, it’s something I know I need to work on and the more collaboration the better. p.s. Thanks to Ian Dawson and Sally Thorne who I have bored witless about this in last few weeks. Your advice was invaluable as ever folks. Three weeks ago my first book was published, buy modafinil los angeles. To be accurate, I only wrote one of the chapters but still it is a book and it has my name on it, so it feels pretty momentous! The book forms the second part of Hodder’s new KS3 series, designed to meet the requirements of the new curriculum and is something I am immensely proud of. The series is written by a ridiculously talented bunch of history teachers John D Clare, Alec Fisher, Neil Bates, Richard McFahn, Ian Dawson and me (still not sure why I have been included with such a great bunch!) and what we have produced is practical, original and engaging. We are all very passionate about history and have designed activities that we know will work in your classroom. We know this as most of the ideas come from our own classrooms. My chapter in this book focuses on Mughal India. Part of the new curriculum requires you to look at international history and the rich history of the Mughals seems like a great place to start. The chapter includes lots of Mughal miniatures to create a sense of period and a stepped enquiry looking at Akbar the Great that will make a fantastic assessment should you wish. There are still two more books on this series to come. For Book 3 I have been writing about the Lunar Society and another chapter on the French Revolution. For Book 4 I’ll be writing about the First World War and producing what I think could be the first chapter in a British school history textbook on life in East Germany. Should be good! Everyone in my department (except one) was taught how to teach history by two people – Kate and Jayne. Kate and Jayne run the Bristol University PGCE course and they do it brilliantly. We are all excellent practitioners because of them; the quality of guidance, advice and mentoring we received during our university based training made us who we are. The same could be said of a plethora of other great practitioners around the country – not that they were all taught by Kate and Jayne (! ), but they are excellent practitioners because of the rigorous university based course they received during their PGCE. They had their equivalents of Kate and Jayne – Dean Smart at UWE, Terry Hadyn at East Anglia, Christine Counsell at Cambridge, Richard Harris at Southampton, Katherine Burn at Oxford – I could go on. Yet, last Thursday came news that most history PGCE courses around the country will be cut by a third in the next year to give space to the new school based routes into teaching. Many PGCE courses have already shut in the last two years and with this news many more will follow. The Historical Association, of which I am a proud member of it’s Secondary Committee, wrote a piece which details the facts far better than I can, so read it can you buy modafinil at walmart. The Historical Association piece is rightly measured. I don’t want to be. This is genuinely the most significant threat to the history teaching profession that we have seen since the change of government four years ago. Stuff the ridiculous February curriculum; this is issue we should be angered by. This change could mean that in a generation the majority of new history teachers will not have had the subject specialist grounding and training we have received. History is currently taught very well, OFSTED say that. I cannot see that this will be the same in ten years. 1.) We are going to create a raft of new teachers who do not have the subject specialism that we have had. History is a funny beast, we’ve got our curious second order concepts and our quirky substantive concepts. If you aren’t a specialist you don’t realise this. You think that it’s just like English as its all writing, or it’s just learning the facts. If the trainers don’t realise this then their trainees won’t either. As a result we’ll have weak practitioners. 2.) School based routes into teaching are a gamble. Some places ensure you have the right subject support and are doing it well and are producing some great practitioners. For example, the ever wonderful Neil Bates is currently offering support to school based trainees around his neck of the woods, but this level of specialist support isn’t the case everywhere. Some academies I know of give their trainees ‘in-house’ support. Great if the department is strong, rubbish if the department isn’t. 3.) School based routes do not offer the space or time for reflection. Think back to your PGCE year. It was grim I am sure. It’s stressful and hectic. Yet the university based routes build in more time for reflection and to keep you calm. This is crucial. They also provide a network of other people who are going through the exact same experience. Having one or two other trainees doing a different subject to you in a school based route cannot provide the same support. 4.) University based courses are grounded in theory. This is important. We need to be a profession that is based on academic theory, progressing due to the research that others are doing. University course leaders have the time to read up on this material and share it with their students. I like to think of myself as reasonably well read, but I know nothing when compared to Kate and Jayne at Bristol. This is simply because I do not have the time in school to do so. 5.) The most skilled, most specialist, most knowledgeable people in our profession, the Kate and Jaynes, will unfortunately lose their jobs due to this change. These people cannot slip quietly back into the classroom. Very sadly, they will be too expensive. This means we have lost this resource as a profession. I worry it may be too late to do anything about this. I’ve moaned at Tristram Hunt on Twitter and has pestered my local MP. I advise you to do the same and cross your fingers for a change of government that might actually decide that decent teacher training matters. Below is the link to the presentation and resources I am using at a session for History PGCE students at Bristol University this morning on how to teach GCSE History effectively. 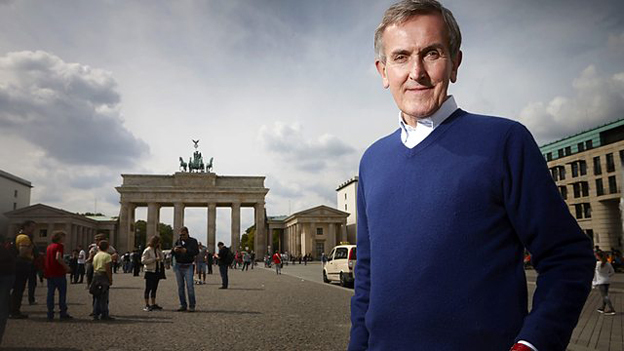 If you can’t tell from my tweets recently I love Neil Macgregor. In fact I think I am little besotted. The way he writes and presents history is my cup of tea. I read his buy modafinil cheap two years ago and I genuinely think it is one of the best history books I have ever read and one which changed my practice profoundly. In the last month he began a new series on Radio 4, buy modafinil credit card to accompany a new exhibition which opens at the British Museum this week and my love has grown. I am a massive Germanophile so I knew this would be up my street but I have been mesmerized by the quality of the history he presents and the engaging stories he has told. At the weekend I went to hear him talk about the series, and the book, and the exhibition, at the Cheltenham Literature Festival and sat there I realised we can all learn a lot from good old Neil. There is something magical about actual artefacts or objects from the past. The past often seems like a ‘foreign country’, yet objects provide real evidence that this actually happened no matter how bizarre the past they represent. As teachers the more we use them in class the better. Listen to the episode on Charlemagne’s crown and you’ll see what I mean. Why do you like history? I like history because of stories. I always have done. It’s why I liked it as a kid and it’s why I like it now. Analysis is a great thing and developing some pesky second order concept is useful BUT what makes history magical is stories. And what makes history unique is that these stories are real. I’ve always thought that the best history teachers are story tellers and watching Neil Macgregor talk about the gates at Buchenwald made me realise I was watching a master. Now and again we need to remember this. This series is quite notably called memories of a nation, not a history of Germany as Macgregor points out that Germany, like Britain, does not have a history it has many. And importantly he chose this title as history is a collection of memories. History is what we choose to remember and how we choose to remember it. I am not sure I often point that out to my students but I think I should. It’s an important point to consider and one I genuinely think I have never ever mentioned to my shame. I’ll admit it I am a little bored of British history. I’m done with Kings and Queens and listening to this series on Germany has reminded me we are surrounded by rich history over the Channel and maybe we should teach this instead now and again. Why don’t teach a bit of German history that isn’t in the year 1919 to 1945? We should. It’s relevant and interesting. At Redland Green teach a unit to Year 9 about the DDR and it goes down a storm. Maybe we should teach more. I like history to be about people and Maclean uses this technique to tell the story of Berlin from the perspective of 21 of its inhabitants. Some you will know (Marlene Dietrich, Christopher Isherwood), some you won’t, but this makes it more enjoyable. He readily admits at the end that he writes parts of it as a novel so for die hard historians it might not be for you, but if you love a story, you’ll like this and Berlin has a story like no other. A clever, history come historical fiction narrative of the greatest city in Europe. As I am sure you can tell, I have an obsession with Berlin. Following Maclean’s book I wanted to stay there, so I decided to read this as Maclean mentions it more than once or twice in his book. I do like a thriller and this is really classic. It has a great ‘sense of period’ and is genuinely gripping from the first page. I intend to read more in this series. I really like reading kids’ fiction. Often it’s easy when I am tired and it gives me ideas of how to use it in the classroom – although this is something I have never mastered. 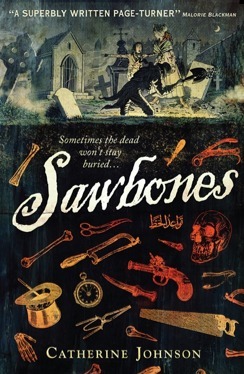 Each year I attempt to read the winner of the Historical Association’s Young Quills prize and this year was no different, hence I read Sawbones. Johnson’s book is set in late 18th century (my favourite historical period) London and follows a suregon’s apprentice as he tries to solve a crime. It’s got loads about the history of medicine and is a gripping little yarn. I am determined to recommend it to Year 10 when we get to this bit of the SHP GCSE course. In addition to getting my reading tips from the Young Quills prize I always try to read a few titles from the shortlist of the Samuel Johnson Prize for Non Fiction. This book has been nominated this year and as I am doing a bit of research into the Nazis at the moment I thought I should give it a go. This book tells the story of the Chambonais region of France and how they managed to hide over 800 Jews from the Nazis. 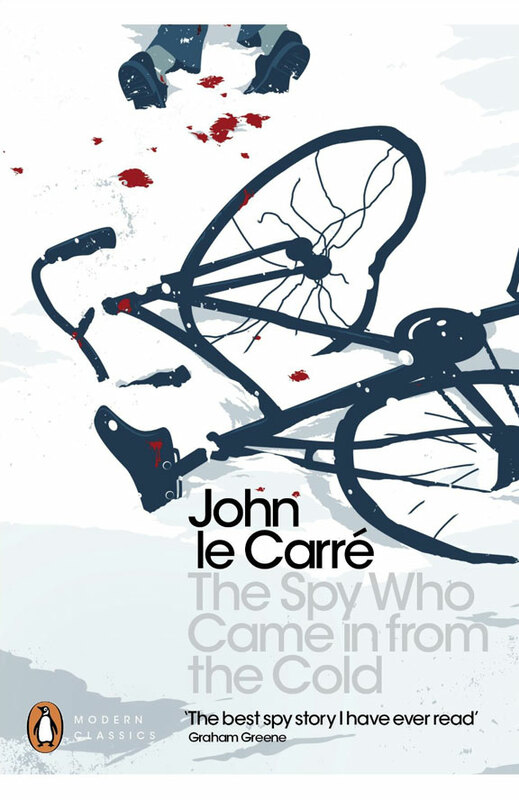 It’s very well written, if a little dense in places and is a really remarkable story. I am still only 60% of the way through though as it is so dense so I’ll leave a full review til later. As I am sure you may be able to tell from previous posts and my Twitter comments I am a full fledged Leftie Guardian reader. 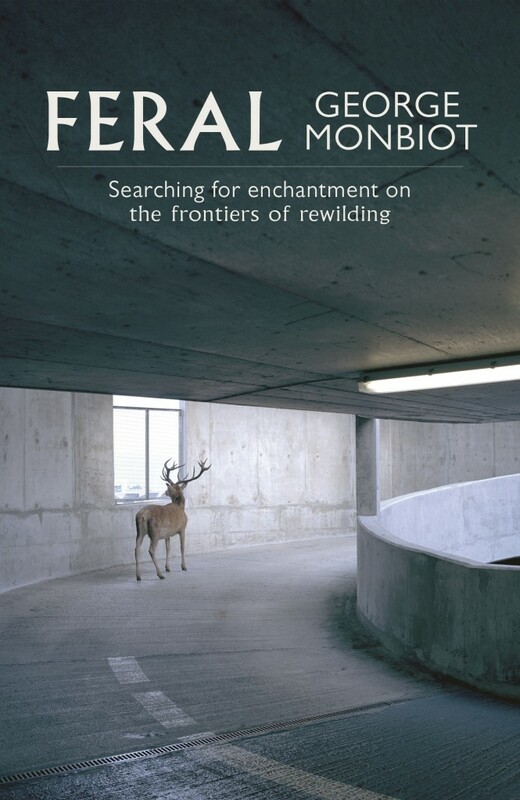 As a result I often read George Monbiot’s column and decided to finally read his book Feral which I have heard others rave about. In it Monbiot argues for the ‘rewilding’ of certain areas of the country – essentially letting regions go back to nature, reforesting and introducing large mammals again, most notably wolves. His argues his case brilliantly and although not necessarily and out and out history book it kind of is. Large parts of this are in essence the ‘Big History’ of the environment and Monbiot cleverly describes this. It’s well worth a read and is clearly going to be my Christmas present to friends this year as I want to talk to others about it. One of the Science teachers at school is a massive East Germany nerd like me and talking the other day about Stasiland he asked if I had read ‘The File’. I hadn’t so I did. Garton Ash, a contemporary historian, lived in East Germany for a year in the early 1980s and post fall he returned to East Berlin to see if a file had been made on his by the Stasi. 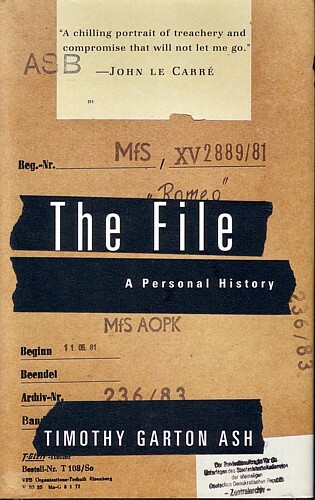 The book follows Garton Ash as he picks through the file, working out who had informed on him and what they had found on. The bits where he interviews former Stasi agents are particularly brilliant and the concluding chapters where he makes comparisons with British Secret Service are expertly handled. A fab book. Two weeks ago I was losing sleep through anxiety. I was dreaming about losing students in crowds; imagining the horror of kids sneaking drink and drugs into their hotel room; I had visions of my class being hit by an S-bahn train. But on a cold, wet Monday after a weekend spent with fifty-one of Year 11 students in sunny Berlin I realise that this was all worth it. School trips are fundamental to history. There is often no better way of learning about the past than visiting the sites that you teach. Crowding round a falling down Station Z at Sachsenhausen Concentration Camp you can see kids realising the full extent of the Nazi crimes. Physically touching the Wall at the East Side Gallery you appreciate the brutality of imprisoning a population. Standing underneath the Brandenburg Gate you can actively imagine Napoleon riding triumphantly past you on his way to disaster in Moscow. These are all Berlin examples but I could easily sing the praises of going to Chepstow Castle, Tintern Abbey or even simply popping down the road to Bristol Museum. It doesn’t matter where you visit I genuinely believe the impact is similar. Schools trips are ace. But none of this is easy. School leadership teams faced by budget cuts and increasing pressure to improve results make you jump through a plethora of hoops to even get the trip approved. Risk assessments and insurance worries mean prices are rising and sadly becoming unrealistic for some. Other departments will moan about the impact on their curriculum. The trips are tiring beasts for those members of staff who attend. Add all this on top of an increasing workload due to curriculum change and exam pressure and it can be a daunting prospect. BUT (and it’s important to capitalise it!) school history needs trips. They enliven a curriculum, make the subject real and provide a connection to the past like nothing else. We need to forget the anxiety and problems and remember why we do it. For me, this means remembering the individual kids who are affected by these experiences. For me the rugby playing giant who burst into tears at Sachsenhausen or the normally surly unengaged girl who begged us to stay for a further 15 minutes at the Topography of Terror. That’s why I run trips and despite my lost sleep why I’ll be back in Berlin with Year 11 next autumn. As well as teaching history I am also whole school literacy coordinator at Redland Green School. In my first year in post I led a drive to make the importance of literacy visual to both staff and students. With the aim of making everyone realise it’s importance and how it needed to become a priority. As a school we did this in a number of ways (probably more on that another day) but one thing we have had a push on over the summer is making the currently empty space between the two school libraries into a place to promote reading. What was a blank corridor is being transformed. We wanted a large mural to promote reading so invited Andy Council, a local Bristol graffiti artist famous for painting dinosaurs, to design the work. Andy worked with our students and took their inspiration to incorporate the four birds that represent the school houses – geese, ducks, larks and warblers. When Andy was in painting the work I stole the PE department’s GoPro and did some time lapse photography. Our clever ICT department pasted this together into a little video. So if you’d like to see our literacy mural being created in two minutes, accompanied by some loud drum and bass, watch the video below. I’ve got a new classroom this year, so I’ve ripped down everything that was in here and have started again. It all looked a bit blank though and I needed a new display. I thought it might be nice to have something on what makes a great historian to get the kids thinking. I was going to just whack some adjectives on the board but then wondered if I could get some actual historians to share their ideas. So over the last week I’ve been badgering a few people on Twitter. Surprisingly I had a good return rate and got responses from Mary Beard, Tom Holland, Ian Mortimer and many others. A quick screen grab of the tweet and a colour print out and I got quite a nice display (apologies for the poor camera on my phone but you get the idea). (1980) Relation of cerebralvasospasm to subarachnoid hemorrhage visualized by comput-erized tomographic scanning. Coronary calcium independently predictsincident premature coronary heart disease over measuredcardiovascular risk factors: mean three-year outcomesin the Prospective Army Coronary Calcium (PACC)project. Mizuno S, Bogaard HJ, Kraskauskas D, Alhussaini A, Gomez-Arroyo J, Voelkel NF, IshizakiT (2011) P53 gene de?ciency promotes hypoxia-induced pulmonary hypertension and vascu-lar remodeling in mice. Human parafollicular cells are difficult toidentify with light microscopy. Meissner’s corpuscles are present inthe dermal papillae just beneath the epidermal basal lamina(Plate 46, page 522). Indications for computed tomography after minor head injury. Whereas manyoftheaxonsgoing to,or coming from, a specific location are grouped into function-ally related bundles called tracts, the tracts themselves do notstand out as delineated bundles. Parents identify the pros andcons of telling the child of his/heradoption. It suppresses VES buy modafinil duckdose VT,WPW tachycardia and prevents recurrences of AF and PSVT.But in the CAST study it was found to increase mortalityin patients recovering from MI; can itself provoke arrhythmiasduring chronic therapy. Monitor the patient for return to consciousness.4. Thesecond type of memory T cell is the central memory (Tcm) CD4 or CD8 T cell. H2O2 detection uses glutathione as a cofactor. For example buy modafinil duckdose ifthe treatment involves training a certain behavior, several groups can each receive differ-ent amounts of training. They increase endothelial nitricoxide synthase (eNOS) buy modafinil duckdose increase glutathione (an endog-enous antioxidant enzyme), and inhibit ROS-producingenzymes. Otagiri K buy modafinil duckdose Tsutsui H, Kumazaki S, Miyashita Y, Aizawa K, Koshikawa M, et al.Early intervention with rosuvastatin decreases the lipid components of the plaquein acute coronary syndrome: analysis using integrated backscatter IVUS (ELANstudy). On barium study buy modafinil duckdose it appears asa well-demarcated nodule with intact overlying layer. Even lung healthy babiescould be examined by EIT during undisturbedspontaneous breathing.